The Spectre x360 can be used in a few different ‘modes’ – there’s the laptop mode obviously, as well as the tablet mode, but you can also choose ‘tent mode’ for playing, and ‘stand mode’ for watching entertainment. The device has a 13.3-inch touchscreen, which can sport either 1080p Full HD resolution or 2,560×1,440 Quad HD. You’ll be able to choose between 4 or 8GB of RAM, and a Core i5 or Core i7 Broadwell processor from Intel. In terms of storage, you can pick three sizes of SSD: 128GB, 256GB, or 512GB. 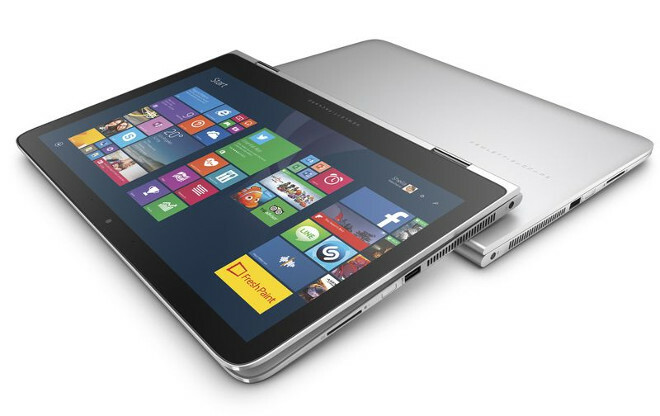 The Spectre x360 is just 15.9mm thick, and it weighs 3.3 pounds (that’s 1.49 kg). It has an all CNC aluminum chassis, and it comes with a 56 Wh battery, which the company claims will power it up for up to 12.5 hours. Both a full size HDMI and a DisplayPort 1.2 are integrated, as are three USB 3.0 ports. 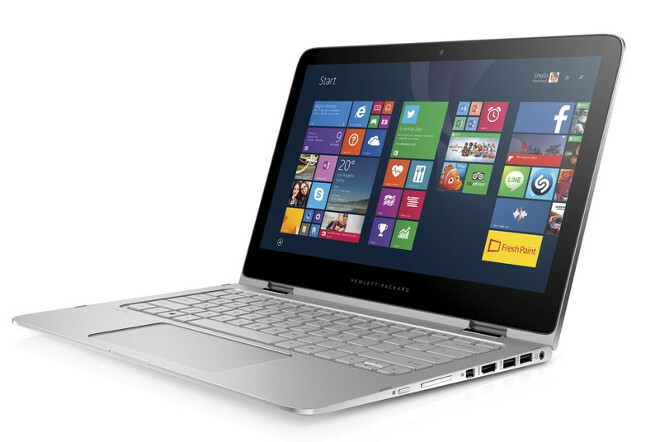 The convertible laptop is going on sale in the US today via HP’s own online store, and it will be available at Best Buy on March 15. The entry level configuration retails for $899.99 and pairs an Intel Core i5-5200U dual-core CPU with 4GB of RAM and a Full HD touchscreen. If you want the same display but a Core i7 and 8GB of RAM, you need to pay $1,149, while the top of the line configuration (with QHD touchscreen, 8GB of RAM, and 512GB SSD) will cost $1,399.99.